Bionic Minneapolis Duplex Sales Distort Market | Your best resource for buying, selling, owning and investing in duplexes and duplex homes. 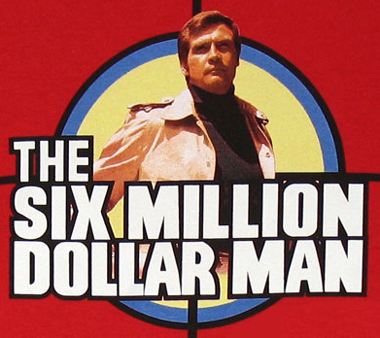 The Monday holidays always remind me of the Six Million Dollar Man. For those of you too young to remember the television show, the main character was part man, part machine. And whenever he did something stupendous due to the robotics in his arm or leg, it was shown in slow motion; as if we wouldn’t have been quite as impressed had we seen it in real time. That’s how the real estate market seems to move on the weeks before and after Monday holidays; in slow motion. For the week ending September 5, there were 42.9 percent more pending sales in the single family home market than there were one year ago. Of course, a year ago at that time it was the Labor Day weekend. And next week, when we see the numbers for the week ending September 12, it too will seem odd, because it will include 2009’s late Labor Day. In the multi-family market, pending sales were up 55 percent over last year’s holiday-stifled transactions. Off market prices for the week continued to lag behind, however, averaging $115,256 in comparison to 2008’s $137,150. Eighty-four percent of the week’s pended sales involved a lender in the mediation, while 25 percent of those for the same week in 2008 did. New listings week over week were actually down eight percent, which may actually reveal itself to be a truly remarkable feat. After all, new listings are always slow over a holiday, and the 2009 inventory was down from that. Of those fresh to the market doors, 40 percent in 2009 belonged to traditional sellers. This represents a significant drop from the 25 percent of the market represented by human sellers in 2008. Expect more bad special effects next week when the holiday statistics skew the other way.